Ionic A modern scrub jacket designed for the 21st century. Athletic yet sophisticated, it's thoughtfully designed with must-have features for medical professionals in any setting. Your work uniform just got better. Medelita scrub jackets can be layered over scrubs to keep you warm on colder days or on those long overnight shifts. We designed a medical jacket that is comfortable as well as flattering, inspired by your favorite athletic or athleisure jacket. 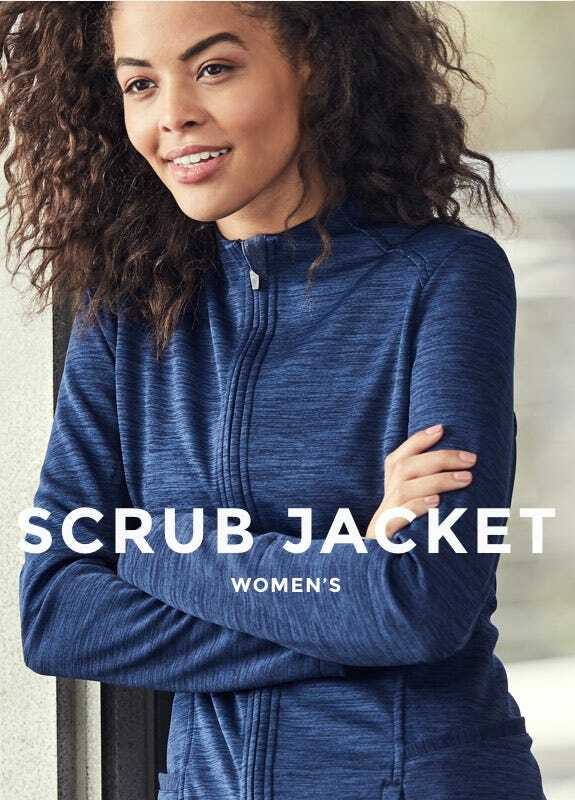 The premium stretch fabric in our long sleeve scrub jackets delivers superior comfort, breathable enough to regulate your temperature while repelling sweat and body odor. Medelita scrub jackets come with intuitive pockets for easy access to your essential items, as well as a handy clip pocket to easily clip in your badge at the shoulder. Browse our cute scrub jackets for women and stylish men’s scrub jackets above.